It’s Friday! Hortense Hoelove's day to answer more readers’ questions about plant and garden relationship issues. Is it horticulturalist or horticulturist? According to my New Oxford American Dictionary, both are correct, though horticulturalist is listed first as a derivative of the word “horticulture”, then horticulturist. That hardly seems conclusive, so I consulted the Merriam-Webster dictionary online. Of course they list both terms, too, but have horticulturist first. To break this tie, I pulled out my first college textbook from back when I was studying to be a horti-something, Horticultural Science, 2nd Edition by Jules Janick, and browsed through it to see if Professor Janick actually used either term in the text. I could find no reference, but did see that I had highlighted the word olericulture, which is the study of the culture of vegetable crops. I had forgotten I once knew that. It’s nice to know it again! So, is it olericulturist or olericulturalist? Dictionary.com only lists olericulturist. My New Oxford American Dictionary lists neither. Since olericulture is somewhat of an obscure term, perhaps we can settle this by looking at agriculture to see if it is agriculturalist or agriculturist. According to my New Oxford American Dictionary, it is agriculturist. For floriculture, it lists both floriculturist and floriculturalist. Where does that leave us? I prefer horticulturist, but would never correct someone who preferred and used horticulturalist. That would be too much like something a haughtyculturist would do! Where are my green beans? I didn't take them honest! There could be many reasons why perhaps you have no green beans. First, are you sure you planted beans? Oh, that wasn’t nice! Of course you planted them because this isn’t your first summer of olericulture! Maybe the bunnies ate them? You know the bunnies stopped eating mine, don't you? Maybe your family has been sneaking out and eating the beans before you can pick them? Maybe it is just not a good bean year where you are? 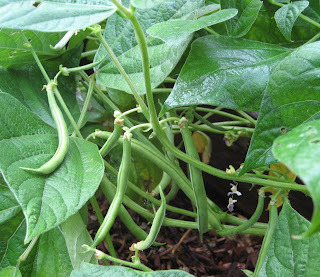 I personally had a bumper crop of green beans this year and have more green beans to pick tomorrow. If you could offer just one piece of advice to gardeners on how to have a good time in their gardens, what would it be? Other than studying a little olericulture and growing a few vegetables, my one piece of advice is to buy good gardening tools. 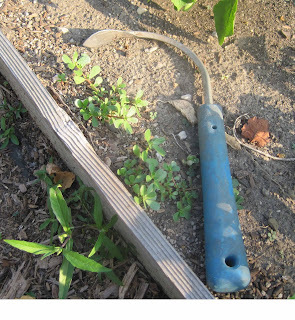 Good tools allow you to focus on gardening and not on the tools themselves. 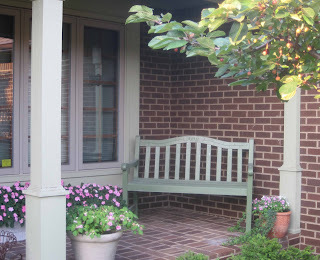 For example, if you are deadheading spent blooms with shoddy, dull pruners, they won’t cut well and you’ll be focused on how to use them “just so" to make them cut right, instead of focusing on the zen of deadheading. I’d get the best pruners and gloves I could afford, definitely, and I would also buy good hand tools for digging and weeding, and of course, the best shovel, rake, and hoe I could find. I might even buy more than one hoe. Then with these good tools, gardening should be more fun, more carefree, and overall more rewarding! P.S. Don’t forget to enter you name in the drawing for a free Cobrahead hand hoe before 5:00 PM EDT today! I could gloat about my beans too. Mostly I want to tell you how much I enjoy your perigrinations through the various dictionaries, and your thoughts about etymologies. I've always used the term "horticulturist" because it is 2 letters shorter, and I'm all about effeciency. I agree with you about tools, the right tool can make the job. Wise advice...although I find the best way to have fun in the garden is to be there with someone you love...or at least like alot! My beans are just about ready to begin harvesting...late because we had so much cool weather. Too cool, too hot...seems like we are at the mercy of the weather. Whether we like it or not.